The main lodge at Amankora Thimphu. How to see the Land of the Thunder Dragon. 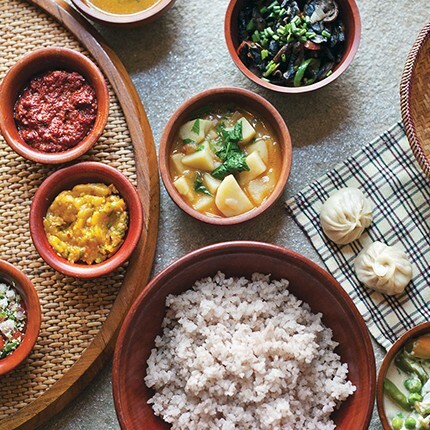 Bhutanese food at Amankora Gangtey. A temple on the Pachu River between Paro and Thimphu. As it transitions to democracy, Bhutan is modernizing slowly, taking immense care to preserve its environment and culture. This makes it a fascinating place to visit, one of those last remaining deeply authentic corners of the world. You might be wondering, as I was: Does “authentic” in this case include nice hotels? And what about the food, rumored to lean heavily toward yak cheese and spicy peppers? Not to mention the long drives and the altitude. Authenticity, I think we can all agree, has its limits. Bhutan, however, has made a concerted effort to focus its small but growing tourism industry on high-end, low-impact travel. This means you’ll find lovely places to stay—and far more on the menu than yak products. Travcoa’s roster of Bhutan journeys is deep. Travelers can choose from any of six Bhutan trips, ranging from shorter small-group excursions to longer private overviews of Bhutan, Nepal, and Tibet. Virtuoso travel advisors’ relationships with Travcoa make planning all the easier. 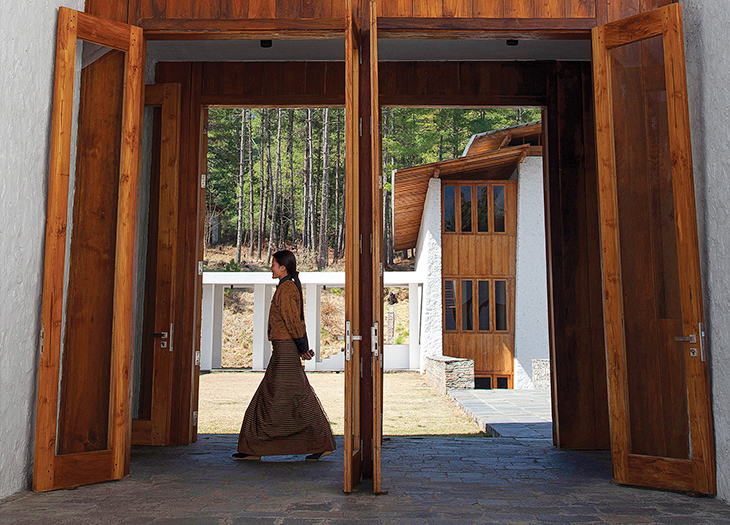 Uma by COMO operates two properties in Bhutan, one in Paro and one at the western end of the Punakha Valley. 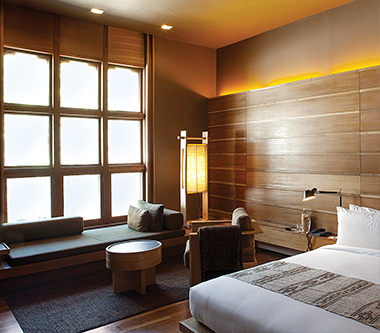 The lodges strike a balance between cozy and classy with white fabrics, warm wood elements, and Buddhist-style frescoes. Like Amankora, the Uma properties offer multiday tours with guides and activities, as well as special events such as a five-night, yoga-focused retreat at the Paro property. Visitors from all nations (except India, Bangladesh, and the Maldives) must obtain a visa and spend a minimum of $200 per person, per day (low season) or $250 per person, per day (high season) toward accommodations and other travel expenses, $65 of which goes to the government. You must travel through a registered Bhutanese tour operator. While the tourism department points out that visitors don’t have to be accompanied by guides at all times, a great guide adds immeasurable depth to the experience. Originally appeared in Virtuoso Life magazine, January 2014. A room at Amankora Thimphu.